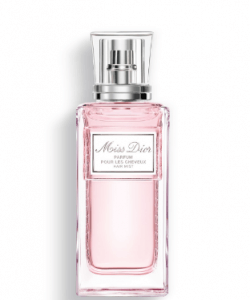 There are many popular brands of hair perfumes, otherwise known as hair mists, hair fragrances, or hair cologne. With a variety of scents and brands to choose from, it can be difficult to choose which one to buy online. Today, we will help you choose the perfect hair perfume that perfect for you by going over some essential pointers. This will be followed by a list of recommended hair perfumes that are known for their remarkable features. Before making the final choice, it’s important to consider what you need and what you want for a particular event or moment. Therefore, we will share some useful tips for you to find the best hair perfume suitable for you. It’s important to know that there are two different types of hair perfumes: mist type and spray type. Please check the difference between the two types and find out which one is suits you better. The mist type of hair perfume provides hair with moisture, so you can fix your bed hair and make it smell good too. 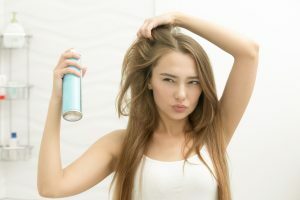 However, it’s difficult to spray just the right amount of liquid necessary for your hair, since this type of hair perfume sprays a fixed amount of liquid in a puff. 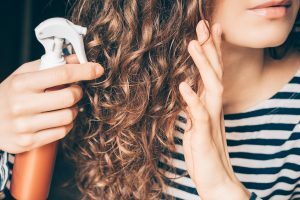 As opposed to the mist type, the spray type of hair perfume allows the liquid to be spread evenly over the hair; therefore the hair never gets damp. It’s easy to use and highly recommendable for beginners as well as people who are extremely busy. For the best results, it should be used in the morning before going out. The only disadvantage is that the bottle is huge, which makes it difficult to bring along with you when you go out. Furthermore, it can get sticky if you apply too much on your hair. How long the fragrance of a hair perfume lasts on the hair differs from one product to another. It would be best to read the description on the product’s box, read some testimonials online, or visit a mall and try one of the free tests being offered to you by the salesperson at the beauty or cosmetics section. Buying a hair perfume with a long-lasting scent can help reduce the number of times you have to spray your hair, thus making it economical. If you have the chance to try one for free in a mall, you could remain there for several hours to check its sustainability before you decide to buy one. In order to make the necessary retouches on your hair while you’re on the go, it would be best to choose a portable hair perfume. For spray types, make sure to select small bottles. On the other hand, for mist types, make sure that the buttons are covered with caps. It could be really useful to bring a small bottle with you, which can fit inside a makeup pouch and not make the bag look bulky. 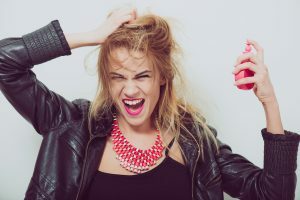 Next time, you can buy a big bottle of hair perfume which you can keep at home, and simply refill the small bottle, which you can carry with you when you go out. Sometimes, you’ll discover that you have no control over your surroundings. For example, if your family or friends have decided to eat at a place a lot of people smoke or at a Korean bbq or yakiniku place, you’ll notice that the smell starts sticking to your hair. In such cases, we recommend that your hair perfume should have odor repellent properties that shield your hair against repulsive scents. 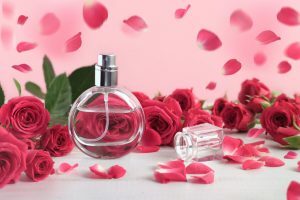 Now that we have gone over some of the most important tips to consider when selecting a hair perfume, we are now going to introduce the top 10 selections for the best hair perfumes to buy online. Each item has been ranked according to their scent, ingredients, and effects. So, whether you are hanging out with friends or spending time with family, you’ll never have to worry about smelling bad. This hair cologne contains floral and fruity extracts that can eliminate foul odor. You’ll love the combination of flowery and fruity aroma that creates the perfect balance, making your hair feel light and revitalized. 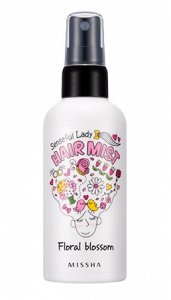 If you feel like putting on a sweet scent on date nights after work, this hair mist would be perfect for you. You may also consider using this hair cologne if you’re a person who commutes a lot and gets exposed to daily pollution. This hair mist was meant to give your hair that refreshing look and to keep it that way for long hours. Use it to attend parties all night without the hassle of limp hair. It can eliminate oil from the scalp and keep your hair smelling fragrant all day long. 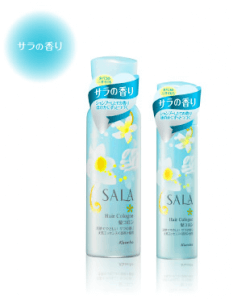 For those looking for the sweet scent of Cherry Blossoms, consider getting this hair mist. Not only will this hair mist make your hair aromatic, but it can also make your hair shiny and hydrated. If you’re concerned about getting super soft hair, this hair mist is the perfect choice for you. This hair mist is specifically made for frizzy and uncontrollable hair. Its main facet is that it consists of lavender and geranium ingredients to help achieve shiny or glossy hair. While floral ingredients can help to make the hair smell fragrant, the variety of oil coming from India can help to repair hair damage. 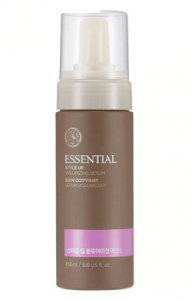 If you feel like your hair needs a bit of fixing, this hair mist would be the perfect choice for you. You may also consider using this hair mist if your hair was damaged by bleaching. It helps to give your hair that smooth and soft texture. If you have limp hair that looks dull and lifeless, check out at this hair mist by Missha. Bring your hair back to life through its delicate floral fragrance. Its scent is both soft and light, which makes it perfect for you if you have a sensitive nose. For those who have lost the vibrant glow of their hair, consider getting this hair mist. It will make your hair shiny again even after working out at the gym. Cancel out the frizziness while smelling fantastic throughout the day. This shower spray uses a combination of lemon and Curcuma extracts which provide anti-bacterial and anti-microbial effects. This hair perfume can also help to deodorize the hair and to neutralize odors coming from cigarette smoking, food, mildew, and perspiration. If you’re a person who has to endure daily pollution and unpleasant smell outdoors, this product might be perfect for you. 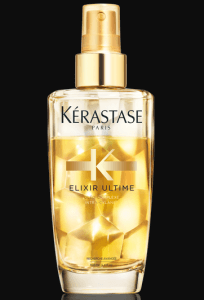 Combined with other therapeutic oils, this hair perfume can help revitalize your hair. It contains rose extracts that can be used as a hair rinse or bath water. The hair perfume’s pesticide-free formula makes it completely safe to use. It also hydrates the scalp. If you’re feeling tired and stressed out from work, you can also use it for aromatherapy to relieve you from stress. It is not only good for the hair but good for your mood as well. Even when you accidentally spray it on your eyes, its natural ingredients will not cause irritation. This hair perfume is made to protect your hair against damage, making it smooth and soft every day without feeling heavy. With its Bi-phase formula, your hair fibers will thicken, making them strong and robust. It contains Carnelia Oil that restores your hair’s healthy glow and Maize Oil that has anti-oxidants to prevent hair fall. Not only will this hair mist protect your hair, but it will also make you feel relaxed with its scented oils that are great for normal hair types. If you’re concerned about frizz, strong smell, and thin hair fibers, then this hair mist could be the perfect choice for you. Bid farewell to dull and dry hair in just a few seconds. It’s an ideal choice for people who want to escape from the feeling of heavy weight on their hair. The ingredients are purely organic and refreshing, which means that you can spritz any time all day long. If you have a sensitive scalp, this hair perfume would be the perfect choice for you. With the absence of harmful chemicals that can dry the hair, it keeps your hair smooth and shiny while you enjoy the light aroma. This hair mist contains rose extract to give your hair a more alluring scent and to keep you feeling fresh all day long. Most perfumes have an alcohol content that can make the hair dry and susceptible to hair damage. But this hair cologne uses a formula with floral and citrus scents that won’t damage the hair, making you feel fresh and confident. If you are constantly worried about having split ends caused by alcohol, this hair mist might be the one for you. You can use it every morning before heading out or as a noonday refresher in the middle of an activity. Just in case you might not know how to effectively use hair colognes, here are some tips. If you apply too much hair cologne, it might damage your hair and scalp. When you apply hair cologne, spread your hair with your hands then spray it inside of your hair just once or twice. That way you can treat your hair with the right amount of fragrance and keep it for a long time. Your hair will smell natural with long-lasting effects. Make sure to spray your hair evenly. 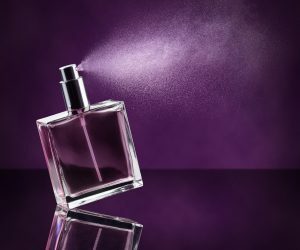 If it’s difficult to manually achieve the proper balance of fragrance, what most people would do is that they would spray the cologne in an open space towards the air, then pass through it. Sometimes you might be reluctant to use a hair cologne when you’re exposed to extreme heat due to fear of losing the scent in a matter of minutes. It won’t be a problem if you use a dryer to dry your hair. But it’s highly advisable to avoid using an iron equipment after applying hair cologne. The fragrance is naturally strong when it’s initially applied. But don’t be surprised if it lessens as time goes by. If you decide to use it on your hair before leaving the house, you may want to ensure that your destination isn’t too far for the aroma’s strength to remain for as long as necessary. All hair colognes have awesome perks. Choose the best one for you by considering the ingredients that were used to create the hair cologne, the scent that is suitable for you, and the length of time it can last in a day. We hope this list was able to help you find the right hair cologne for you.